This book was written to supply a definite need. Its preparation was undertaken at the urgent request of booksellers and others who have felt the lack of a satisfactory medium of introduction to bird life for little children. As such, and in no sense whatever as a competitor with the many excellent books on this subject, but rather to supplement these, this volume has been written. Its primary purpose is to interest the little child in, and to make him acquainted with, those feathered friends he is most likely to see. Because there is no method of approach to the child mind equal to the story, this method of conveying information has been adopted. So far as I am aware the book is unique in this respect. In its preparation an earnest effort has been made to present as far as possible the important facts regarding the appearance, habits and characteristics of our feathered neighbors. It is intended to be at once a story book and an authoritative handbook. While it is intended for little children, it is hoped that children of larger growth may find in it much of both interest and helpfulness. Mr. Louis Agassiz Fuertes, artist and naturalist, has marvelously supplemented such value as may be in the text by his wonderful drawings in full color. They were made especially for this volume and are so accurate, so true to life, that study of them will enable any one to identify the species shown. I am greatly indebted to Mr. Fuertes for his cooperation in the endeavor to make this book of real assistance to the beginner in the study of our native birds. It is offered to the reader without apologies of any sort. It was written as a labor of love—love for little children and love for the birds. If as a result of it even a few children are led to a keener interest in and better understanding of our feathered friends, its purpose will have been accomplished. The Old Orchard Bully. – The English or House Sparrow. Jenny Has a Good Word for Some Sparrows. – The Song, White-throated and Fox Sparrows. Chippy, Sweetvoice, and Dotty. – The Chipping, Vesper and Tree Sparrows. Peter Learns Something He Hadn’t Guessed. – The Bluebird and the Robin. An Old Friend In a New Home. – The Phoebe and the Least Flycatcher. The Watchman of the Old Orchard. – The Kingbird and the Great Crested Flycatcher. Old Clothes and Old Houses. – The Wood Peewee and Some Nesting Places. Longbill and Teeter. – The Woodcock and the Spotted Sandpiper. Redwing and Yellow Wing. – The Red-winged Blackbird and the Golden-winged Flicker. Drummers and Carpenters. – The Downy, Hairy and Red-headed Woodpeckers. Some Unlikely Relatives. – The Cowbird and the Baltimore Oriole. More of the Blackbird Family. – The Orchard Oriole and the Bobolink. Bob White and Carol the Meadow Lark. – The So-called Quail and the Meadow Lark. A Swallow and One Who Isn’t. – The Tree Swallow and the Chimney Swift. A Robber in the Old Orchard. – The Purple Martin and the Barn Swallow. More Robbers. – The Crow and the Blue Jay. Some Homes in the Green Forest. – The Crow, the Oven Bird and the Red-tailed Hawk. A Maker of Thunder and a Friend in Black. – The Ruffed Grouse and the Crow Blackbird. A Fisherman Robbed. – The Osprey and the Bald-headed Eagle. A Fishing Party. – The Great Blue Heron and the Kingfisher. Some Feathered Diggers. – The Bank Swallow, the Kingfisher and the Sparrow Hawk. Some Big Mouths. – The Nighthawk, the Whip-poor-will and Chuck-wills-widow. The Warblers Arrive. – The Redstart and the Yellow Warbler. Three Cousins Quite Unlike. – The Black and White Warbler, the Maryland Yellow-Throat and the Yellow-breasted Chat. Peter Gets a Lame Neck. – The Parula, Myrtle and Magnolia Warblers. A New Friend and an Old One. – The Cardinal and the Catbird. Peter Sees Rosebreast and Finds Redcoat. – The Rose-breasted Grosbeak and the Scarlet Tanager. The Constant Singers. – The Red-eyed, Warbling and Yellow-throated Vireos. 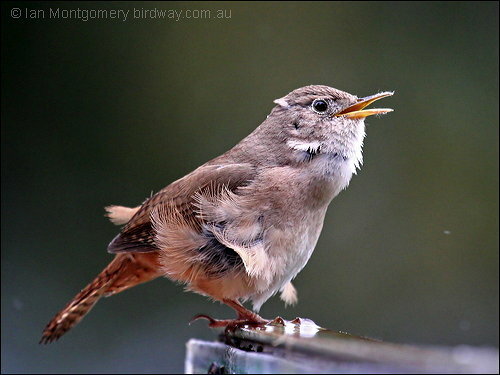 Jenny Wren’s Cousins. – The Brown Thrasher and the Mockingbird. Voices of the Dusk. – The Wood, Hermit and Wilson’s Thrushes. Peter Saves a Friend and Learns Something. – The Towhee and the Indigo Bunting. A Royal Dresser and a Late Nester. – The Purple Linnet and the Goldfinch. Mourner the Dove and Cuckoo. – The Mourning Dove and the Yellow-billed Cuckoo. A Butcher and a Hummer. – The Shrike and the Ruby-throated Hummingbird. A Stranger and a Dandy. – The English Starling and the Cedar Waxwing. Farewells and Welcomes. – The Chickadee. Honker and Dippy Arrive. – The Canada Goose and the Loon. Peter Discovers Two Old Friends. – The White-breasted Nuthatch and the Brown Creeper. Some Merry Seed-Eaters. – The Tree Sparrow and the Junco. More Friends Come With the Snow. – The Snow Bunting and the Horned Lark. Peter Learns Something About Spooky. – The Screech Owl. Queer Feet and a Queerer Bill. – The Ruffed Grouse and the Crossbills. More Folks in Red. – The Pine Grosbeak and the Redpoll. Peter Sees Two Terrible Feathered Hunters. – The Goshawk and the Great Horned Owl. I think you will greatly enjoy this book. Birds and their behaviors are presented in a story, but many birdwatching truths are introduced. Look for questions and Christian principle at the end of the chapters. These are also a good way to read and teach your child or grandchild. Enjoy! This entry was posted in Bird Tales, Birds, Birdwatching and tagged Birding Facts, Burgess Bird Book For Children, Christian, From The Past, Home School, Kids, Nature, Story, Thornton W. Burgess, Youth. Bookmark the permalink.